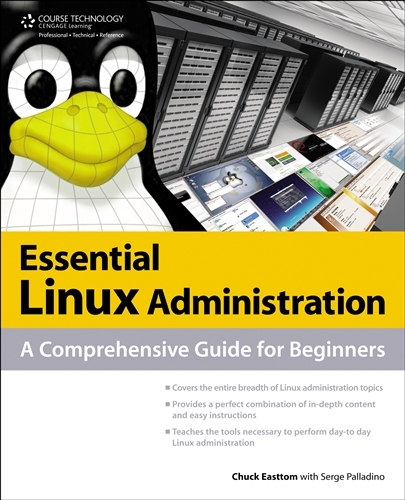 ESSENTIAL LINUX ADMINISTRATION: A COMPREHENSIVE GUIDE FOR BEGINNERS introduces you to the various aspects of Linux administration. Each chapter is designed to give you an overview of a specific topic, along with some practical "how-to" material that you can apply immediately. The first three chapters set the stage, providing an overview of operating system concepts, Linux history, and instructions for installing Linux for use as a server. The remaining chapters are designed to teach specific administrative tasks. 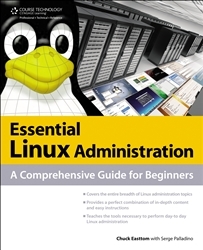 ESSENTIAL LINUX ADMINISTRATION will help you develop the skills you need to be a competent network administrator using Linux.